As every month, full moon party at Domaine des Amiel! For you this thursday 18th, from 8pm: – Live Music (guitar and violon) with SEXTON ! 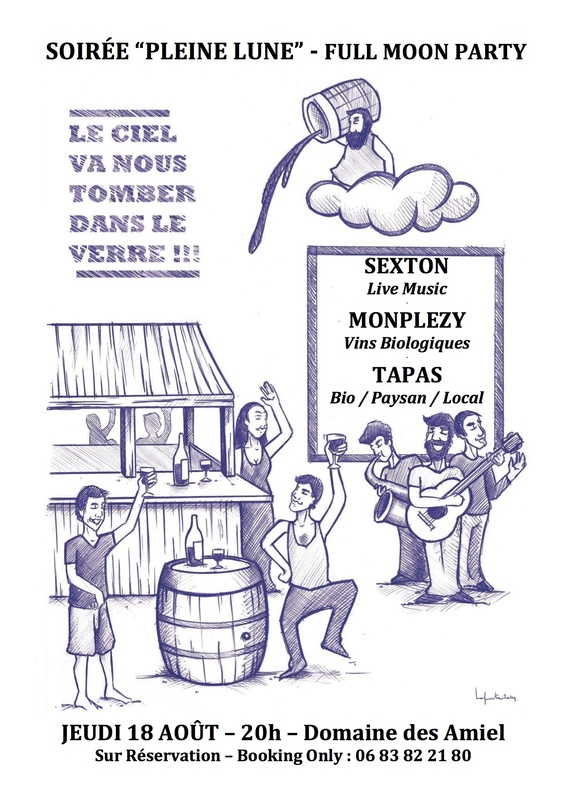 – Organic Wines (Plaisirs, Félicité…) from domaine MONPLEZY ! – FARMERS TAPAS made by Christophe & Joe (directly from local/organic/small producers) – and obviously our wines from DOMAINE des AMIEL and our legendary good mood !! !